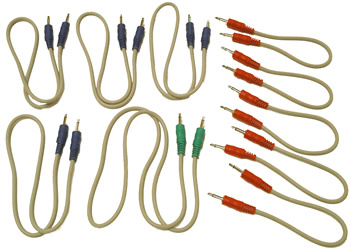 Our own custom mono 3.5mm (1/8") patch cables have color-coded molded barrels over flexible, high-quality grey cable. Sold in sets of four pre-built cables, any length, $4.75/set. Limit six sets per order, contact us for larger orders.